Apple yard Flower Bouquet. All photos NHYM 2015 Copyright. As you probably know, I love flowers. 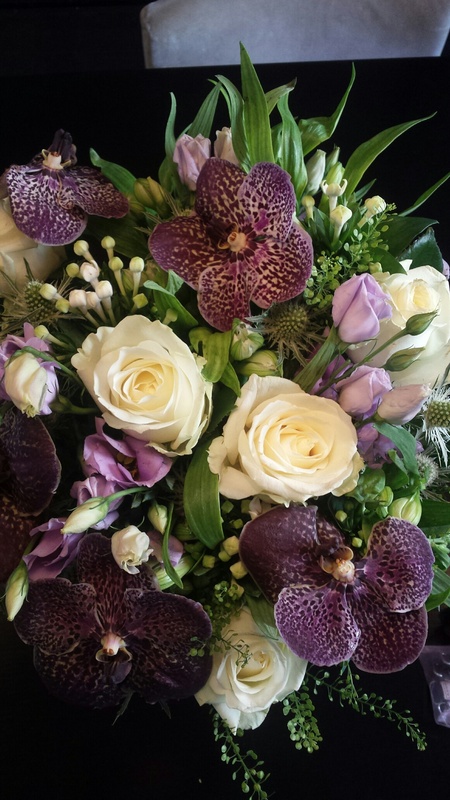 I’ve already mentioned that I went from Club Hopping to Flower Picking since becoming a mother: https://nottinghillmummy.com/2014/05/22/review-the-rhs-chelsea-flower-show-2014/ and that men should know that women can always be perked up by a beautiful bouquet of flowers. I’ve also decided that I want my daughters to become florists. Why you may ask? 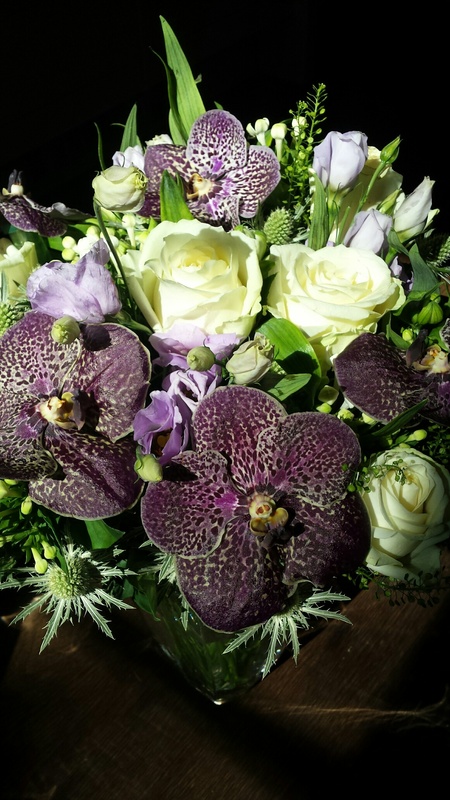 Well, it has been proven that being a florist is the happiest job! http://www.bbc.co.uk/news/education-20298238. Oh and please note: bankers were the unhappiest. 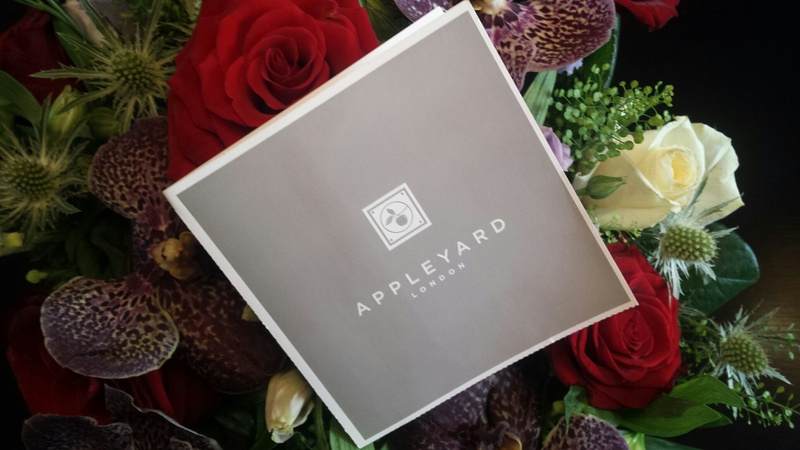 Apple yard Flower Delivery Service. NHYM 2015. 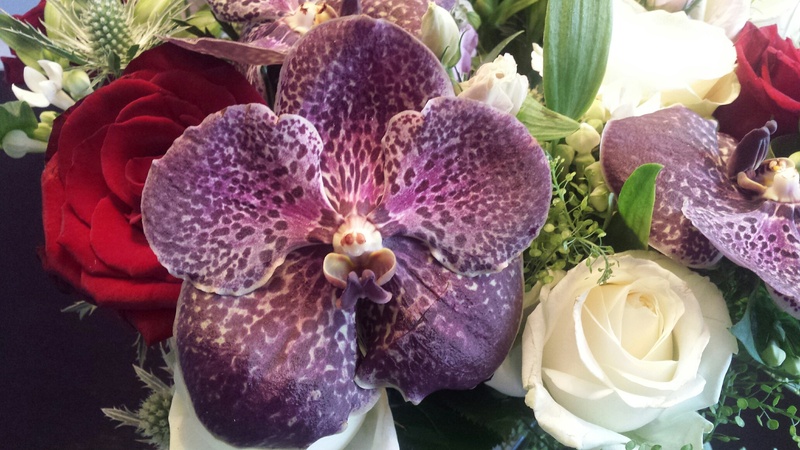 I went online and ordered my beautiful bouquet of flowers on: http://www.appleyardflowers.com/flower-delivery-notting-hill and chose the Violet Orchid Bouquet. 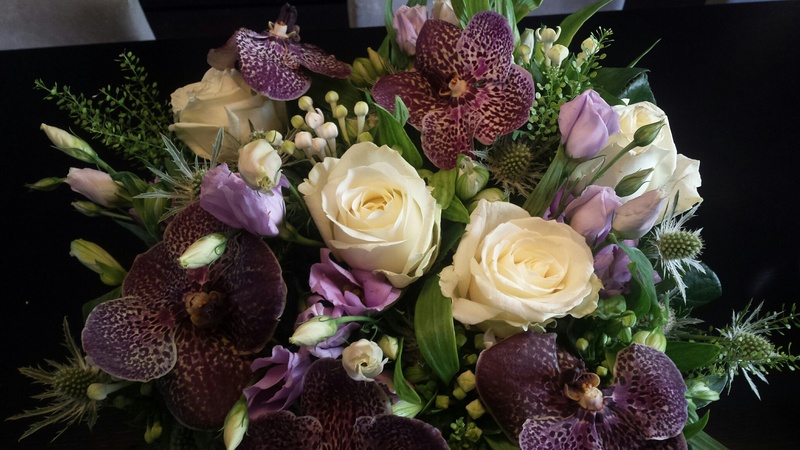 There is a large choice of beautiful bouquets to choose from and they can be delivered any day you like. 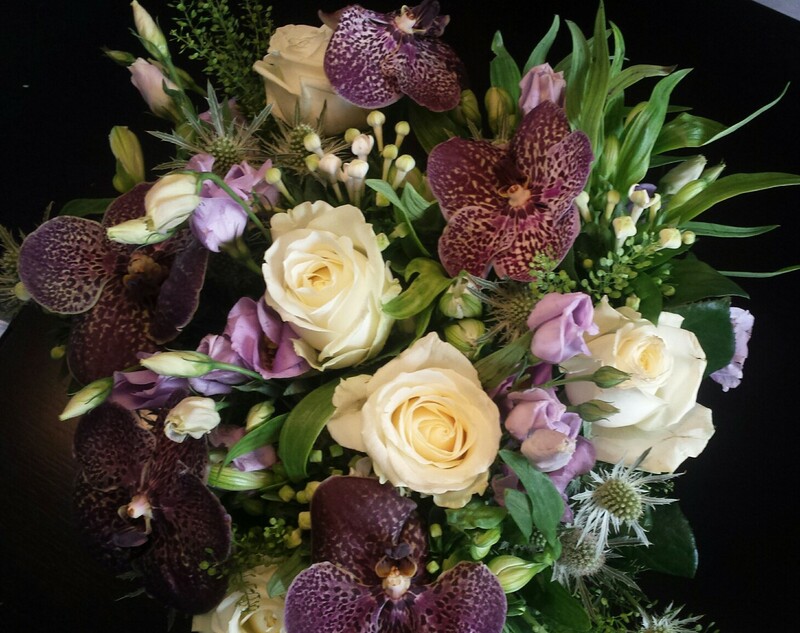 I received the bouquet in a large cardboard box, which revealed a gorgeous array of orchids, roses, thistles and other flowers I can’t name. 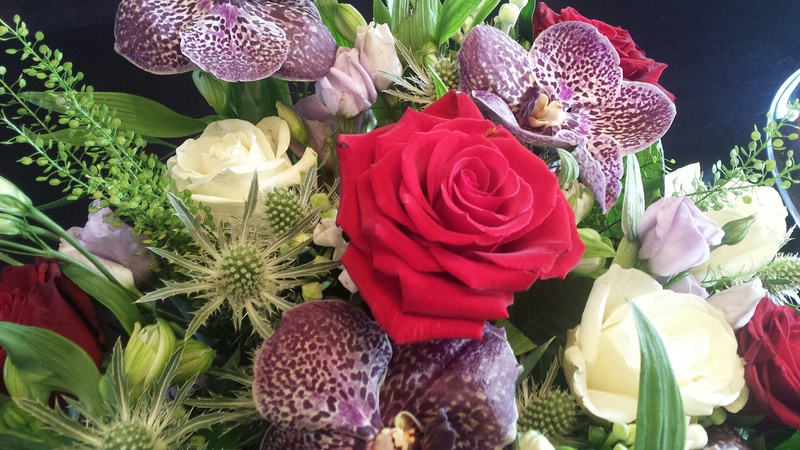 But wait – it wasn’t exactly the bouquet I ordered, there were red roses instead of light purple ones. 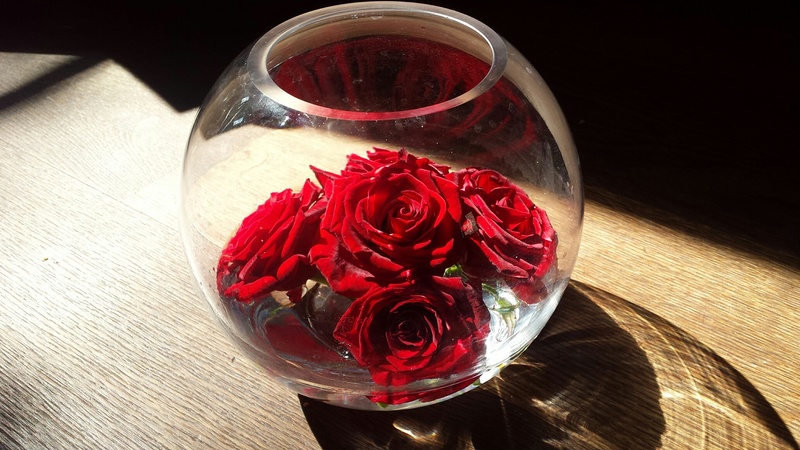 I didn’t like the colour scheme as much, so I took out the red roses and put them in a separate flower vase. Which meant that I now had 2 flower vases to look at. Even more happiness to spread around. Despite the hiccup of not getting exactly the bouquet I ordered, the bouquet is still really stunning and the flowers fresh and vibrant. 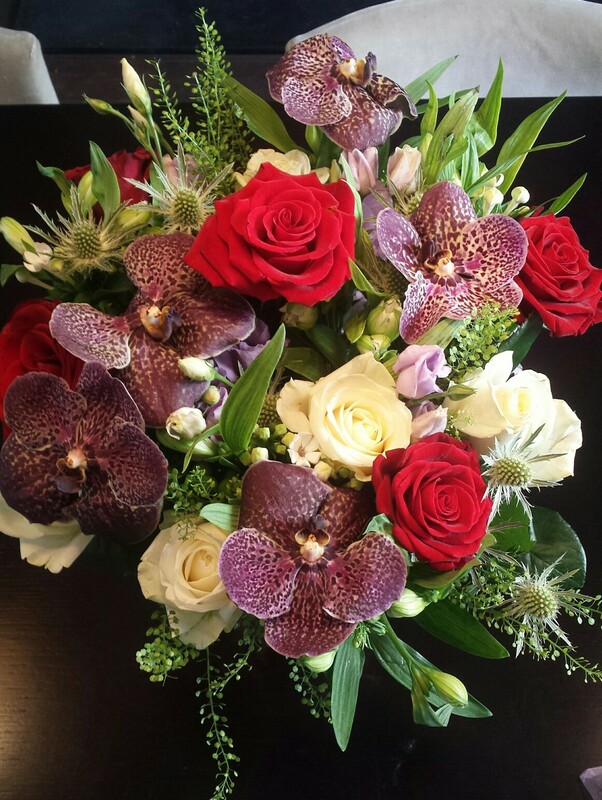 Thank you Appleyard for the wonderful bouquet! To cheer you up that summer is over, Appleyard is offering a 33% discount to my readers, please quote BLOG33.